Denna produkt ger dig 656 bonuspoäng. 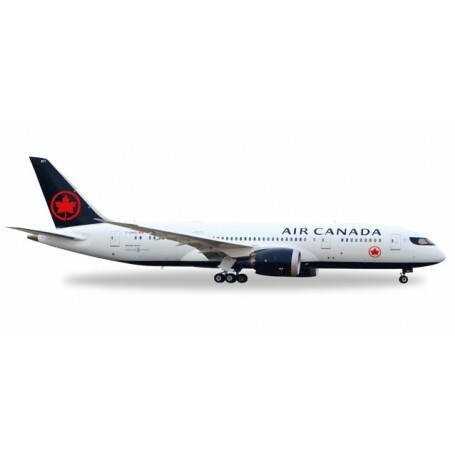 Flygplan Air Canada Boeing 787-8 Dreamliner - new 2017 colors - C-GHPQ, modell i metall. 2017 marks the 150th anniversary of Canada and the 80th birthday of Air Canada - what better occasion to introduce a new corporate identity. Influenced by Canada´s natural scenery, dominated by grey-black rocks and snow-capped mountains, the red maple leaf is put into the spotlight in this sleek new livery.